We use the Freefly MoVI camera gimbals for the majority of our aerial cinematography because of how adaptable and reliable they are. We can take apart, re-size, balance and configure each MoVI gimbal to fit the the camera requirements of our clients. The great thing about the MoVI M5 is that they can be inverted, which works perfectly when mounted atop the Alta drone or even the Freefly Tero RC. It features a carbon fibre frame and built in GPS control algorithms that keep the camera locked on target in Drift-Free Horizon mode. This feature works seamlessly with the drone where sustained acceleration forces can cause non-GPS aided systems to drift out of position. The MoVI gimbals feature the same customisable parameters as the rest of Freefly’s systems, by either using the handy MoVI App or the Controller. As professional aerial cinematographers, we face many challenges, be it the weather, manoeuvring around obstacles, or simply chasing the subject through a scene. 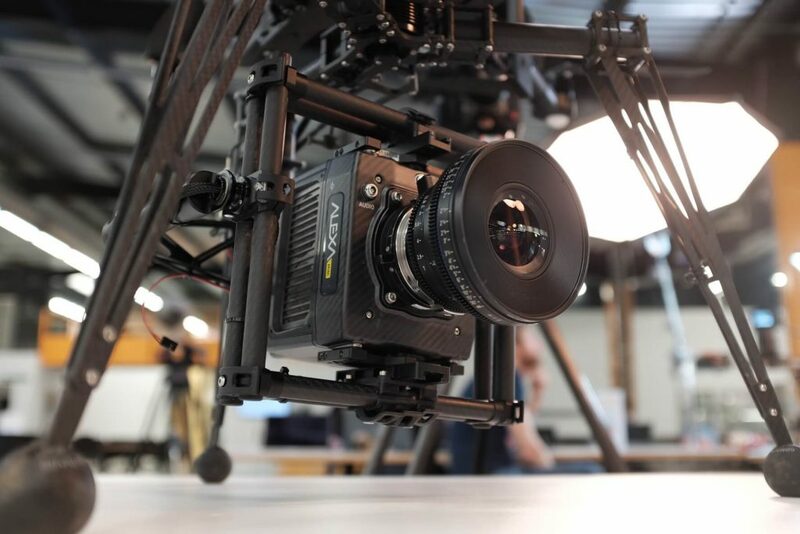 Using FreeFly MoVI gimbals means we can assure our clients they get the best camera stabilisation equipment on the market for their aerial cinematography needs.